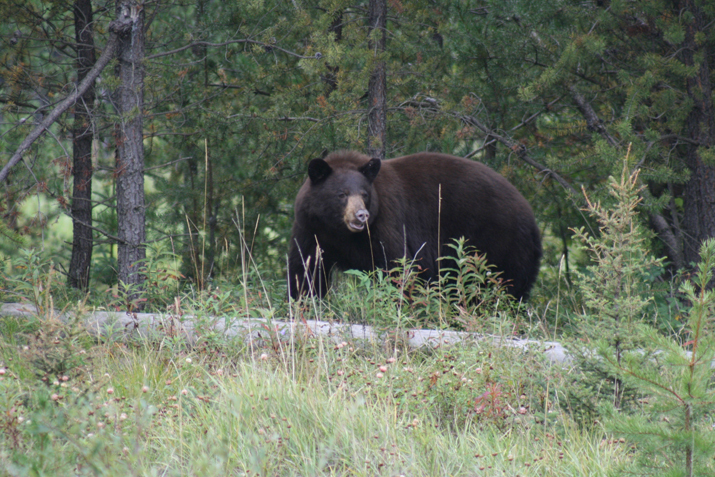 Canadian Wildlife Federation: There’s a bear hanging out in my backyard. I’m used to them meandering through during the summer, but it’s winter. Shouldn’t it be hibernating? As temperatures get cooler and days get shorter, a black bear finds a den to spend the winter in. But if it’s a warm winter day, it might wake up and take a short stroll. I would guess this is what happened with the bear you saw in the winter. It must have woken up on a nice winter day. It probably didn’t stick around too long before it made its way back to its den!